Salem City Council on Monday night voted against helping state transportation officials complete an environmental review needed to build the Salem River Crossing. The move effectively ends the project. Salem City Council has voted to halt the Salem River Crossing in its tracks. 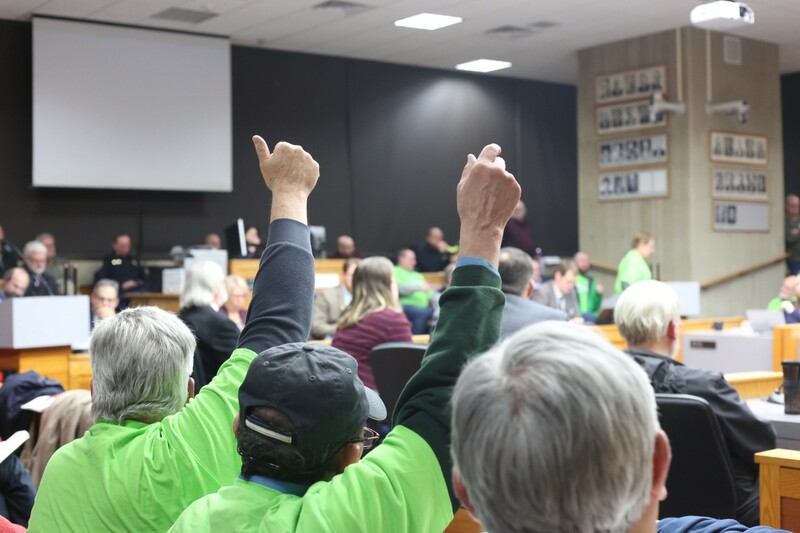 In a 6-3 vote, councilors said they won't instruct city staff to help state transportation officials complete a sweeping environmental review needed for the project to be built. The move effectively ends the project, which started in 2006. The defeating motion came from Councilor Tom Andersen, who contended Monday night that the project as blueprinted was too costly, ineffective at treating the city's congestion problems and "environmentally unsound." "No doubt there may be, and there probably will be, a need for another bridge over the Willamette to solve the regional problems — but not this bridge. Not here, not now," he said. Councilor Matt Ausec seconded the motion. Councilors Jackie Leung, Cara Kaser, Chris Hoy and Sally Cook voted for it. Mayor Chuck Bennett and councilors Brad Nanke and Jim Lewis voted against the motion. Nanke, the city's longest-serving councilor, said he couldn't find the words to describe how he felt. "Hopefully this wakes the city up because it shakes me to the core and I'm sure it will do that to a lot of people for many generations as well," he said. Terry Cole, a transportation planning manager for the agency, said ODOT will now complete its review, with the recommendation that no bridge be built. "They just voted to not move forward with the land use actions, so we'll take that information and go to the next steps," he said. The anchor of the Salem River Crossing was a bridge that would have crossed the Willamette River from the Highland neighborhood to West Salem. It was pitched as a pressure valve for congestion, which many have said bottlenecks at the Marion and Center street bridges. Though planning started 13 years ago, city officials have floated the idea of a bridge dating back to the 1970s. This iteration, however, came to an end Monday night after nearly three hours of testimony. Council chambers filled to capacity and city officials said more than 100 people sat in an overflow seating area at the nearby Salem Public Library. Most speakers supported the project. Many supporters wore green shirts reading "Build it now!" from Salem Bridge Solutions, a pro-bridge contingent. Officials discourage cheering, so supporters gave thumbs-up in unison when they heard comments in support. Those supporters who spoke presented the bridge as a fix for a number of issues. Some argued it helped the region's congestion. Some said it's friendlier to the environment than gridlocked cars. Others cautioned the community needed a safer third bridge in case of a catastrophic earthquake. "We're living on borrowed time," said Mike Evans, a co-founder of Salem Bridge Solutions. "We only have one possible bridge that can be built in the next 20 years that will be engineered to withstand (the earthquake). Tonight, you'll vote to either give our community a chance to build it or you'll vote to take that choice away from your constituents." Business organizations argued the bridge would benefit for the regional economy, both in the freighting of goods across the river and in accommodating growth in West Salem. Representatives from the Salem Area Chamber of Commerce, the Mid-Valley Association of Realtors and the Home Builders Association of Marion and Polk Counties expressed support. "Without the bridge, effectively what the city is doing is burying its head in the sand and ignoring the reality of what is to come," Erdmann said, noting the region's expected population growth in the coming years. Still, a handful of people rebuked the Salem River Crossing's promises. Salem resident Bob Cortright said the bridge would saddle residents with costs for years through tolls and vehicle registration fees. Rebekah Engle, a downtown Salem resident, worried residents would pay for a bridge that wouldn't help. "I do think we have congestion problems but I don't think, after spending hours and hours on this, that it will do what we hope it will do," she said. "I hear a lot of people saying go forward with a bridge, but that's not how this process works. You're going forward with this bridge and this option and I don't think it works." When public comment ended, tensions flared. Lewis, the West Salem councilor and long a supporter of the bridge, first motioned to instruct staff to go the other direction and help complete the environmental review. His motion would have kept the project alive. But a vote showed only Nanke and Bennett supported the motion. When six nays raised their hands, many supporters cleared out of the chambers. One yelled "puppet" at a councilor. Another later interrupted Councilor Cara Kaser as she laid out her reasons for voting against the project to say she "betrayed" residents. Kaser said she wanted a new bridge, but disagreed with the current proposal. 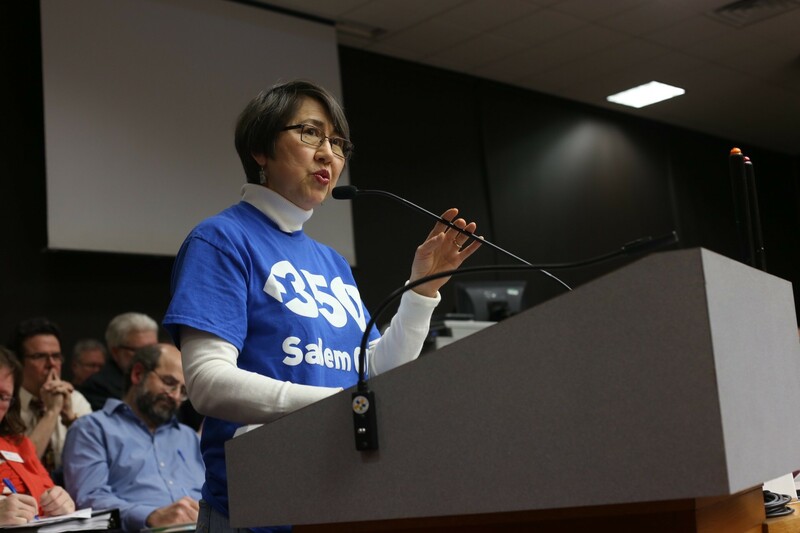 She said residents opposed the project years ago, but city and state planners, as well as previous city councilors, did not heed those concerns. Kaser, one of three councilors elected in 2016 on an anti-bridge platform, said council faced a decision on a project that should not have gotten to that point in the first place. "The notion that future councils would just follow along with the decisions of previous councils was extremely presumptuous. And now several years later we are given a binary choice," she said. Kaser added that the vote Monday night wasn't the last time the city council would work to fix congestion or even talk about a new bridge. "This is not the end, although people might feel like it is," she said. "This is not the end, it's not like we'll never do any of these projects ever again." Bennett responded: "I think everybody knew that in 1974, too. The end is never in sight on a river crossing because we need one."